Richard was a skilled iron worker. He may have had a previous wife and a son by the recorded name John "Mabury" who married in Tryon County in 1814. 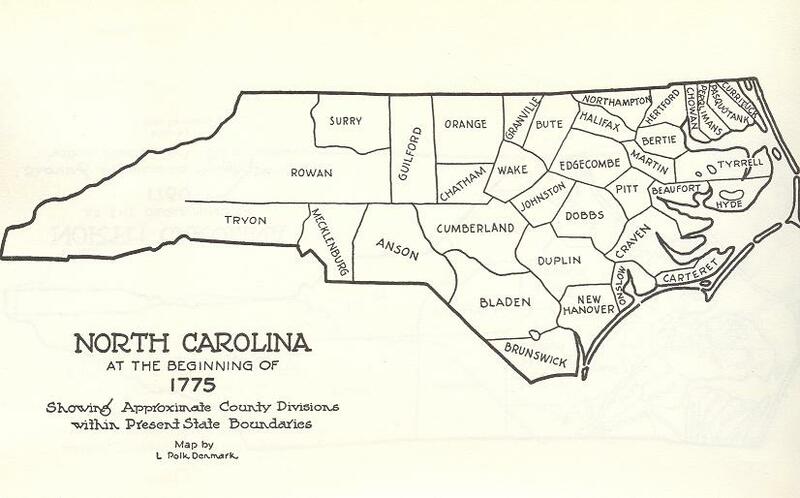 Tryon County (see Map of NC in 1775) became Lincoln County in 1779 (see Map of NC in 1780). In 1814, Richard's daughter Betsey married a grandson of John Kincaid Sr. (1710-1811). 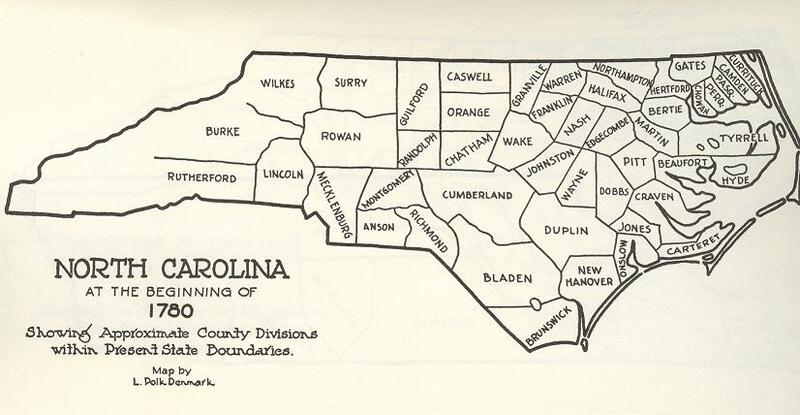 John Kincaid had moved his family from Charlottsville VA to Tryon Co. by 1765, purchasing 850 acres of land along the Catawba. Richard drowned at Cowan's Ford in the Catawba River, on the Lincoln-Mecklenburg county line. Widow Polly remarried Aug 11, 1798 at Lincoln NC Bartholomew "Bat" Thompson, a Revolutionary War veteran. He was made guardian of the two little girls Betsy and Patsy. Kincaid, Clyde E., et al., Kincaid: The Family of John Kincaid, Sr. (1710-1811)..., Asheville NC, 1983, p.191ff. Lincoln Co. (NC) Ct. of Pleas & Quarter Sessions, vol.3, 1796-1805, p.19. Thompson, Mrs. S. L., letter, Spartanburg, SC, Mar 3, 1993, to L.M.Holloway.